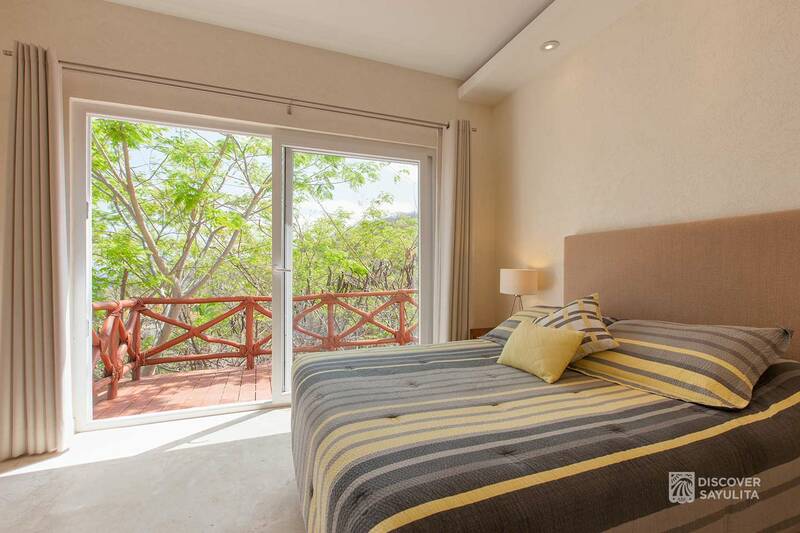 Penthouse 704 is a brand new unit in Pajaro de Fuego with beautiful panoramic views of the ocean. 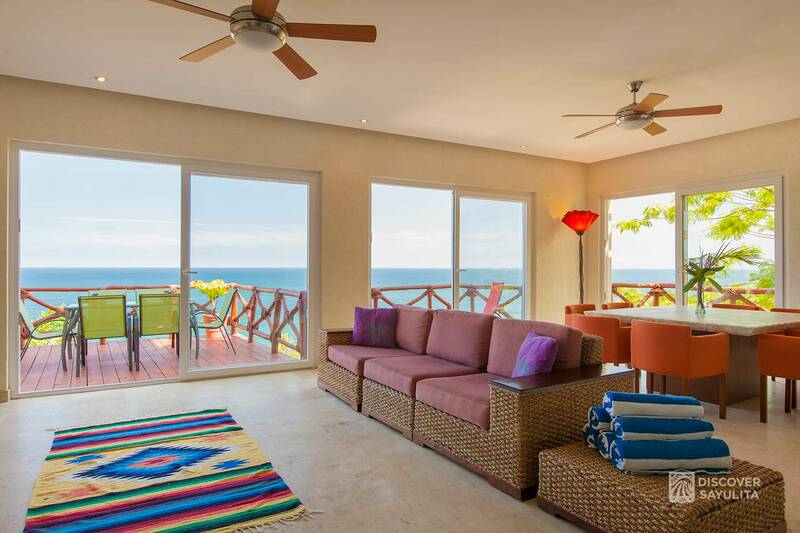 Open the front door, and all you see is blue, blue ocean, blue sky. 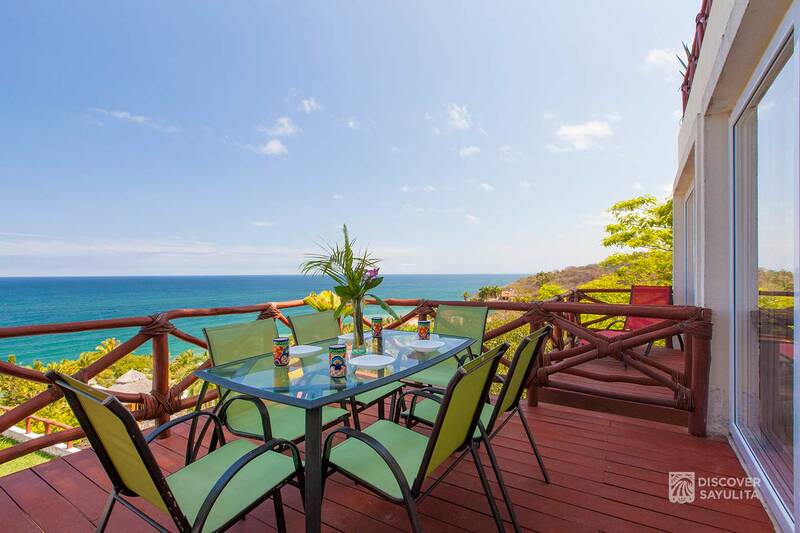 Lounge and dine on 3 spacious outdoor balconies. 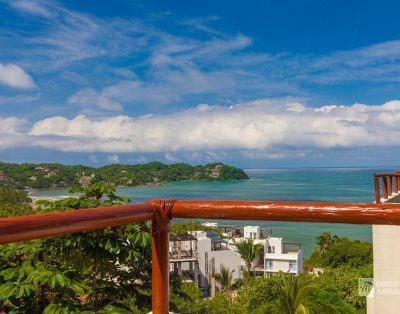 Peaceful tropical trees surround the unit with a gentle sea breeze. 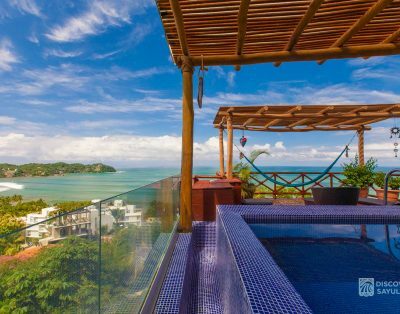 Penthouse 704 is ideal for a tranquil retreat. 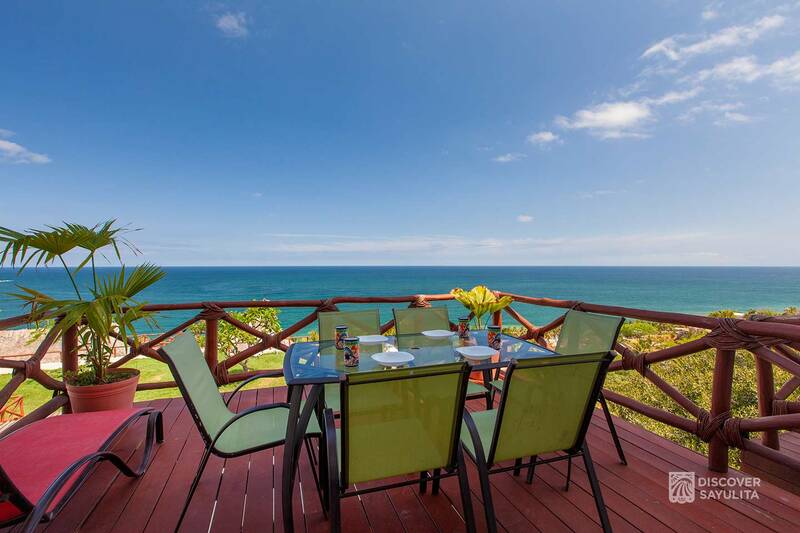 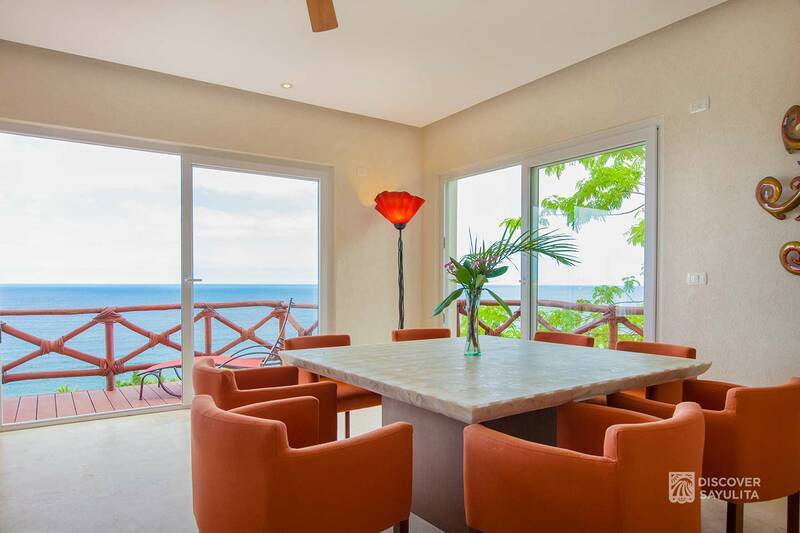 Sunchairs and outdoor dining with endless views of the ocean and town below. 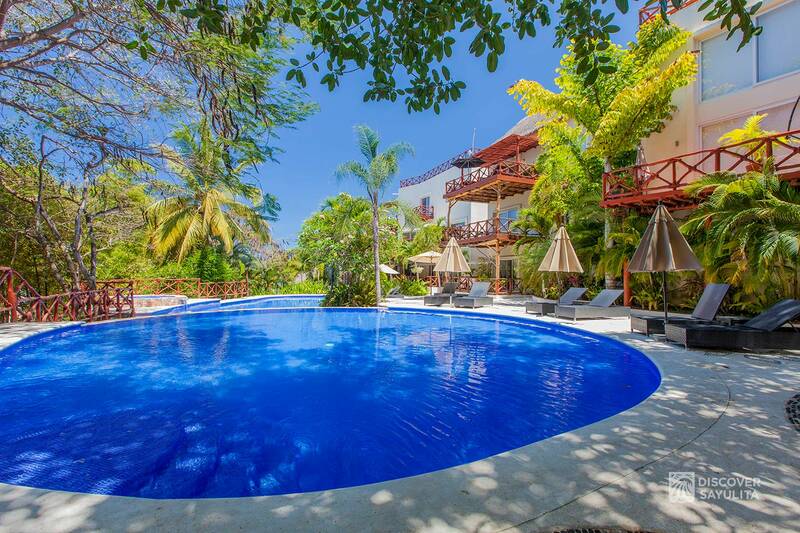 Hear the sound of the sea breeze through the palms, surrounding birds and butterflies. 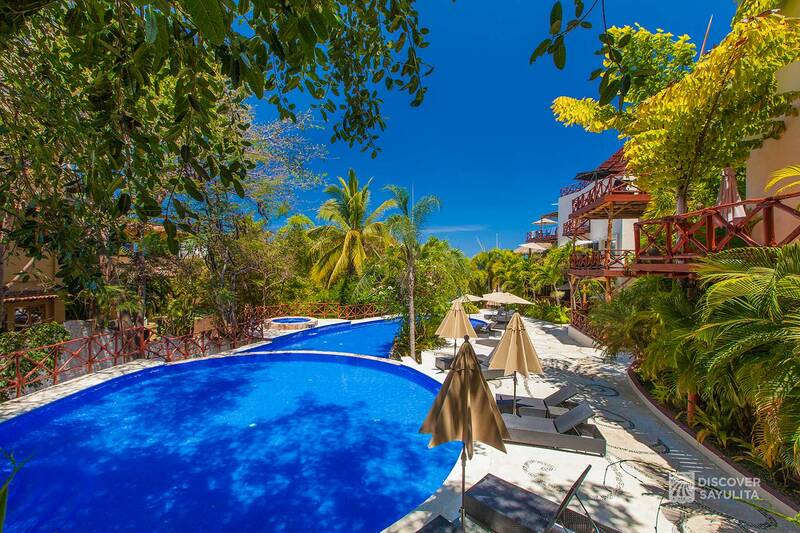 Infinity pools and gardens are just below, and town is only 15 minutes walking. 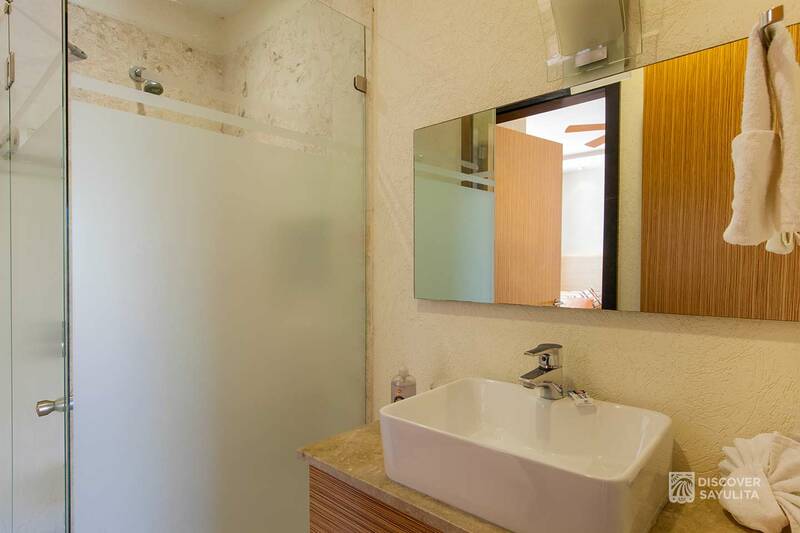 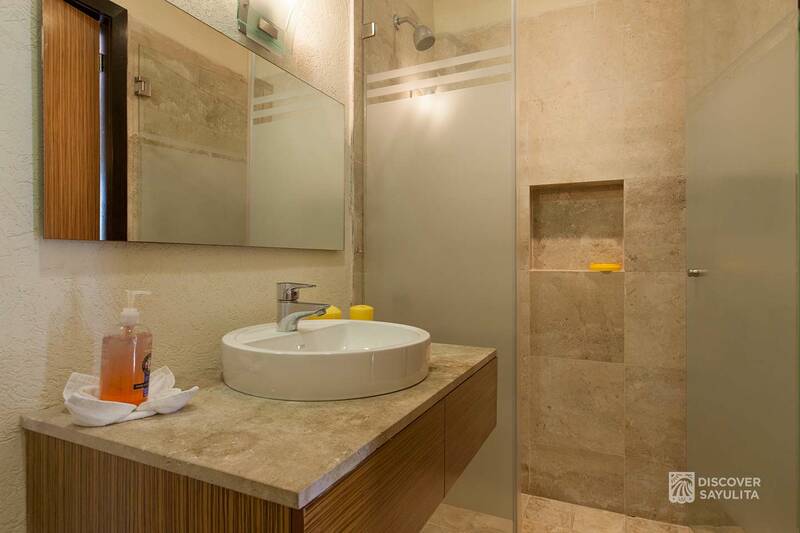 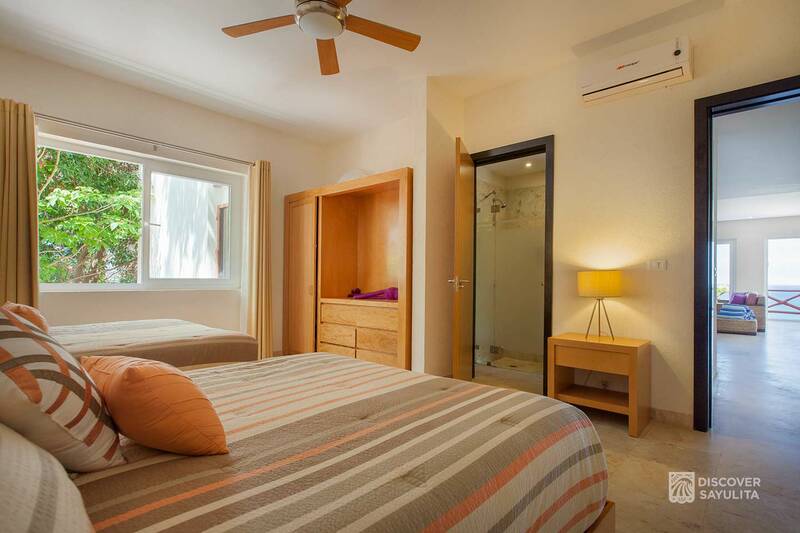 The unit has three bedrooms, each with a private bathroom, one king, one queen and two double beds. 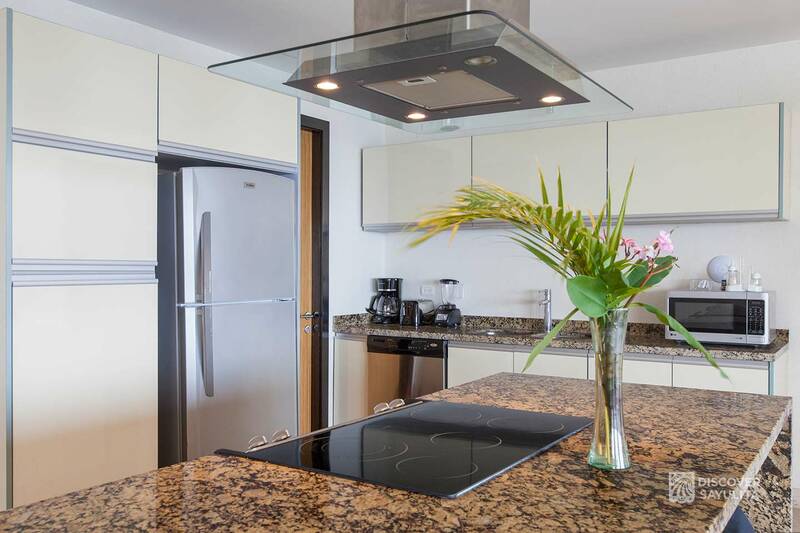 The kitchen is modern and American in style – flat-top electric stove, breakfast bar island seating, coffee-maker, blender and stainless steel fridge. 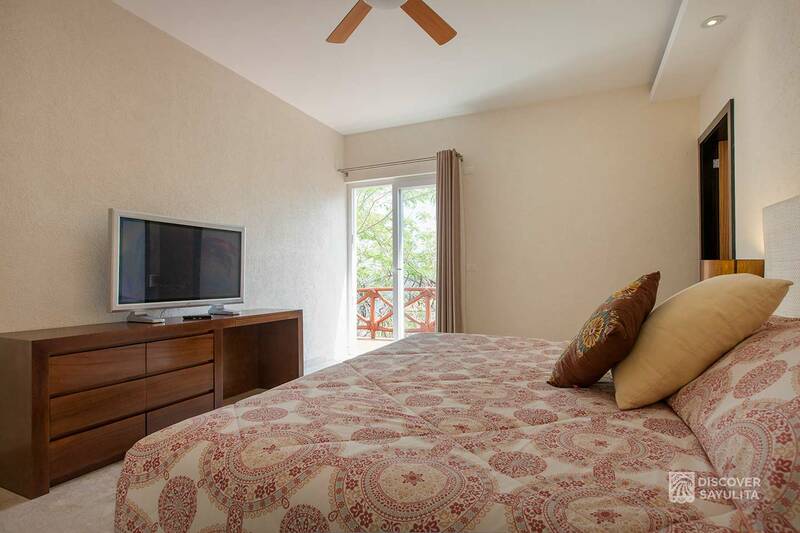 Work from home with high speed wireless internet, cable TV and DVD. 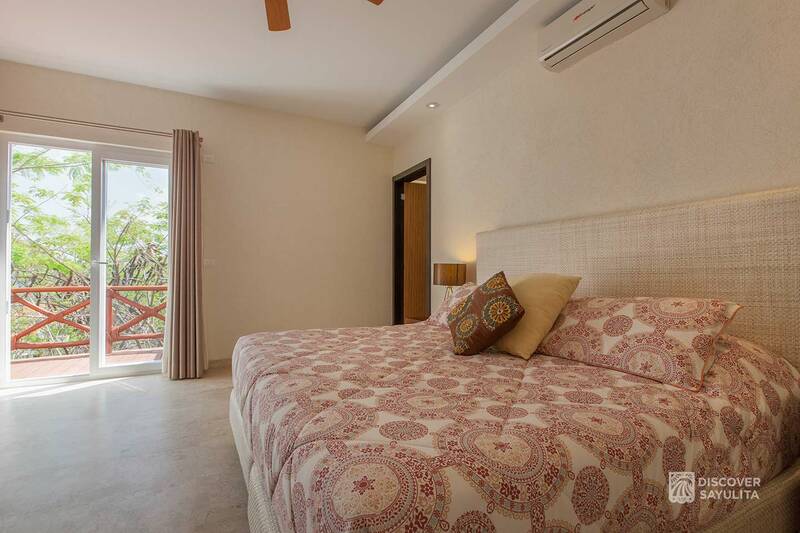 Furnishings are comfortable and modern with air-conditioning and ceiling fans throughout. 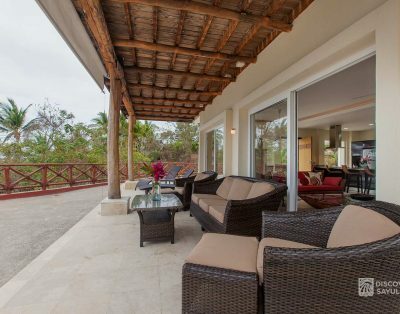 Indoor and outdoor dining areas open out to a spacious living area and kitchen with breakfast bar island seating. 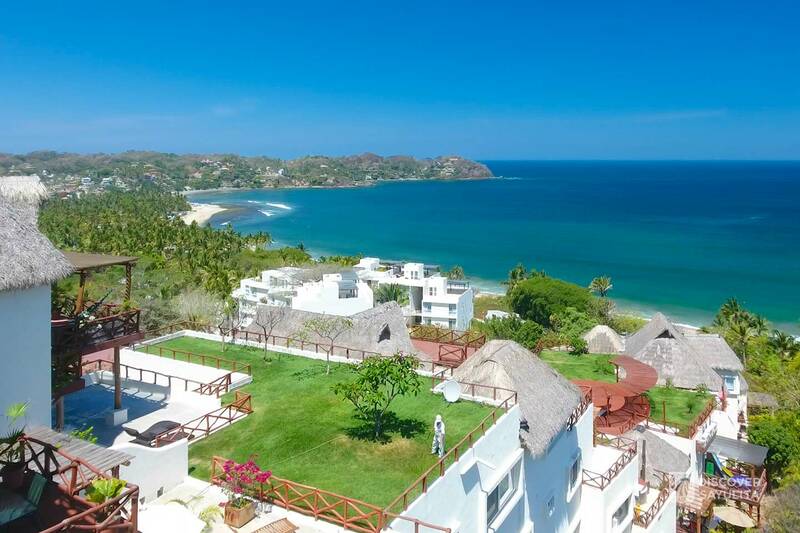 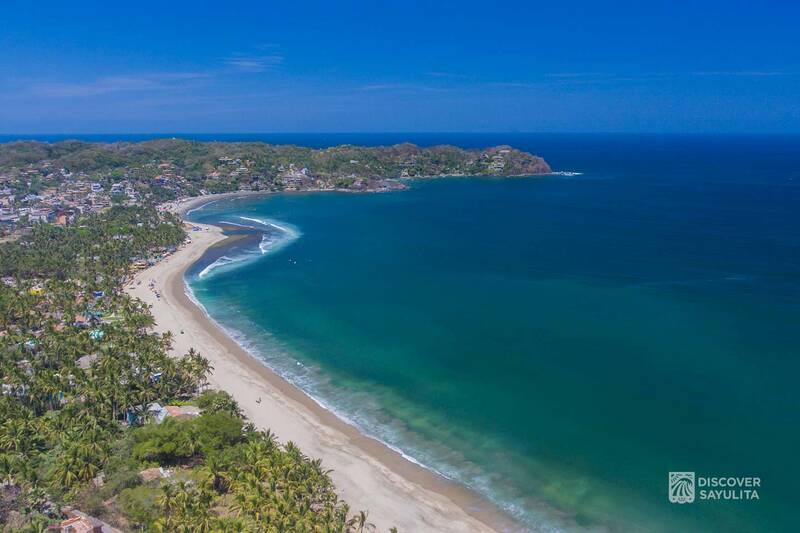 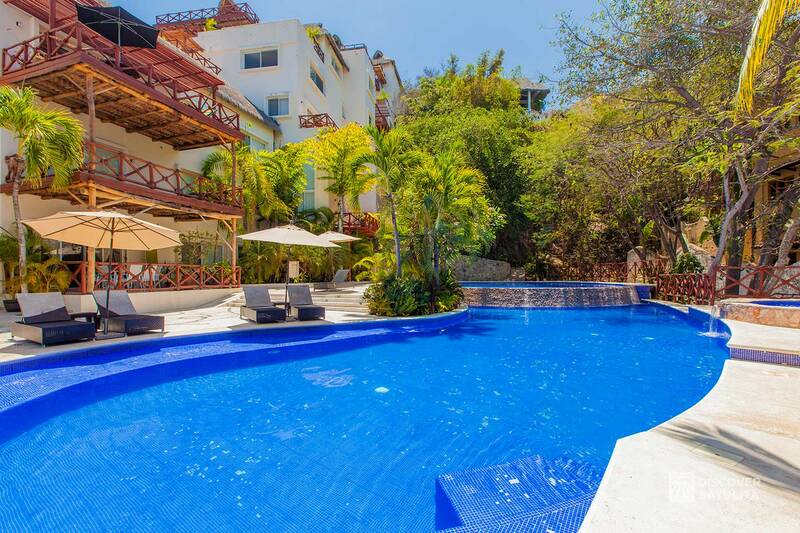 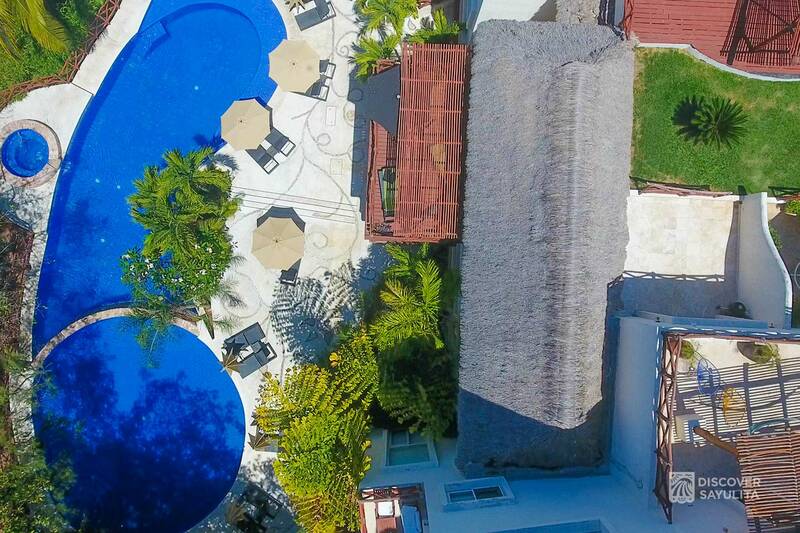 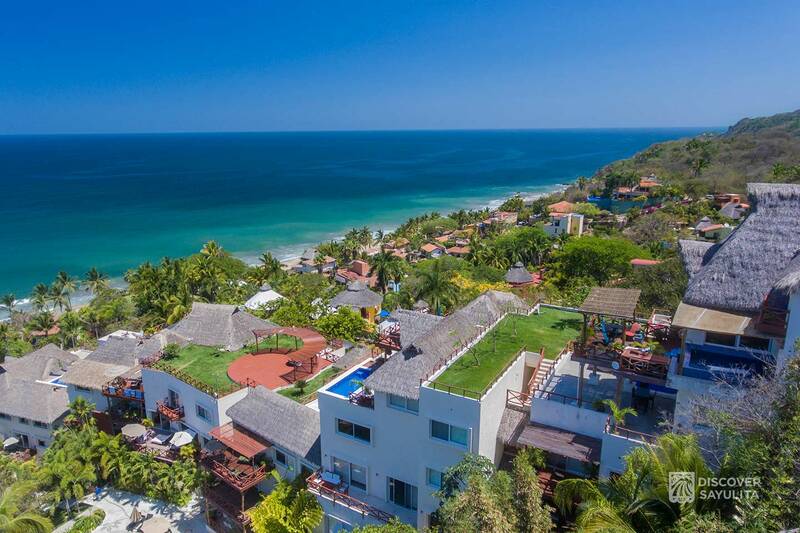 Penthouse 704 is perfect for guests seeking comfort and tranquility in beautiful Sayulita. 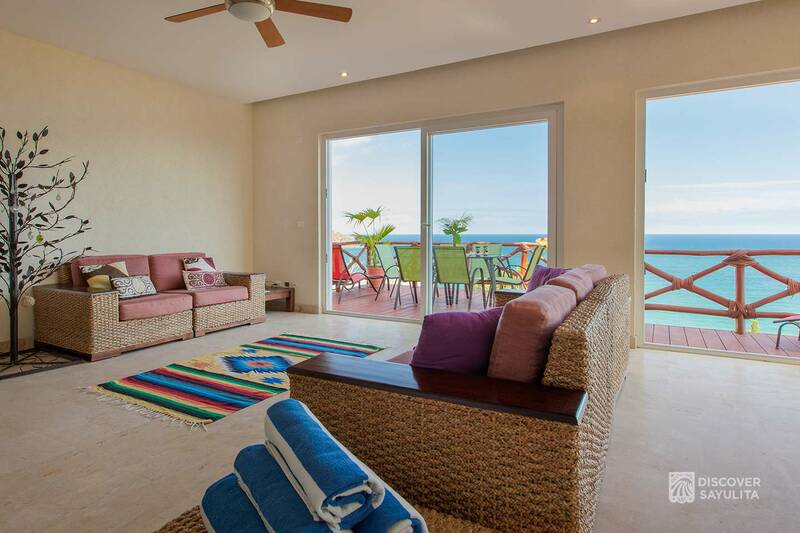 Guests must be mobile and able to climb stairs. 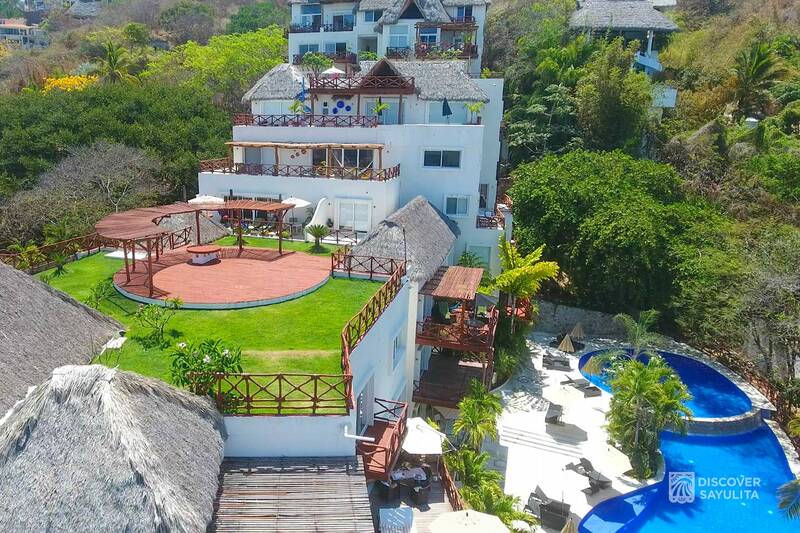 Penthouse 704 is on the 5th floor above our infinity pools. 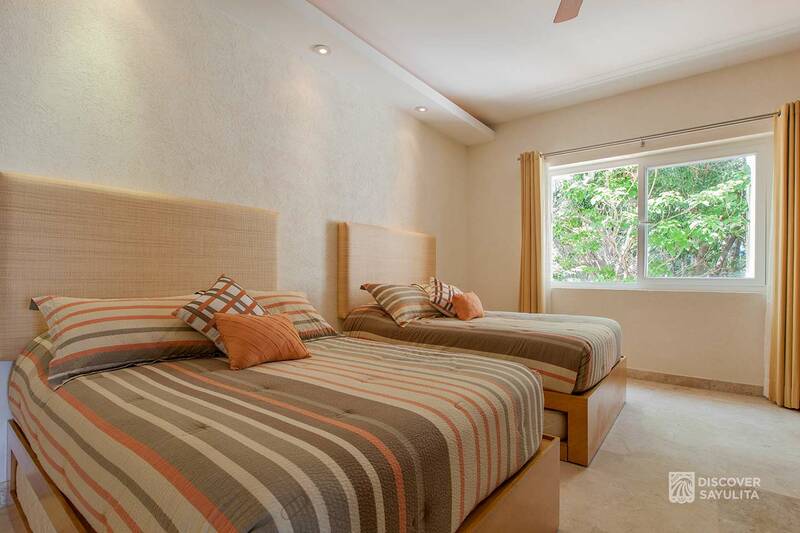 You can also rent a 4 wheel drive vehicle and park up top next to the unit.